If your health insurance coverage comes through your spouse’s job, you may lose that coverage when he or she retires and goes on Medicare. Not so long ago, this was a scary and expensive prospect, but things have changed. Now you have several options for health insurance if you're losing your health insurance because your spouse is transitioning to Medicare. It's important to understand that if your spouse is enrolling in Medicare but continuing to work past the age of 65, he or she can continue to have employer-sponsored coverage, and you can continue to be covered as a spouse on that plan. Many people who continue to work past age 65 have simultaneous coverage under Medicare and employer-sponsored insurance. And some employers provide retiree health benefits that serve as supplementary coverage for Medicare, even after the employee retires. 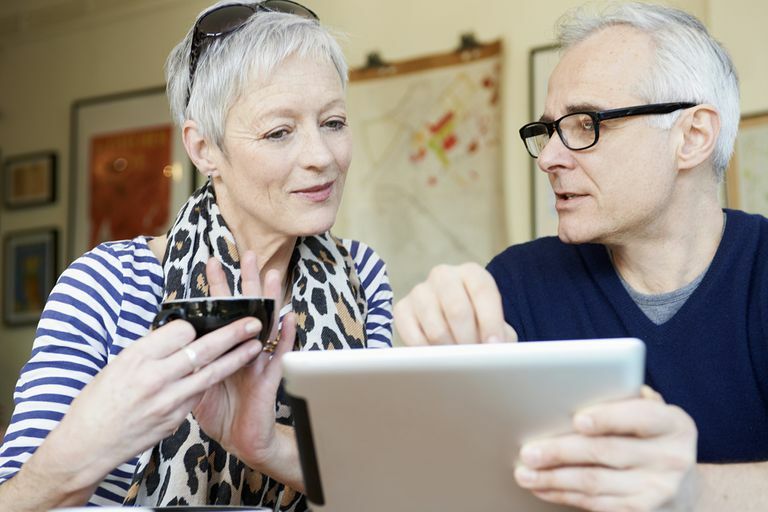 Retiree health plans may or may not offer coverage to spouses, so you'll want to double check the terms of your coverage to see what, if any, spousal benefits it will provide after retirement. But for this article, we'll look at a scenario in which your spouse is retiring and will not continue to have access to employer-sponsored coverage. Your spouse will be covered by Medicare, but you're not 65 yet... where will you get coverage? Rest assured, there are several options, and your medical history isn't a factor. If you have a job that provides health insurance but you've chosen to waive that health insurance, you’ll be eligible for a special enrollment period at your workplace when you lose access to the insurance plan your spouse had pre-Medicare. This will allow you to enroll in your own job-based health insurance even though it’s not open enrollment for anyone else. Special enrollment periods are time-limited, usually 30 days, so don't wait too long. If you miss it, you'll have to wait until the next open enrollment period to sign up. If your spouse’s health plan is subject to the COBRA law, you’ll be eligible to continue your current health plan, for a limited time, through COBRA continuation coverage (private sector plans with at least 20 employees have to offer COBRA continuation if they offer group health insurance). In most cases, COBRA allows you to continue coverage for 18 months. But if your spouse became eligible for Medicare and then left his or her employment (and thus lost access to employer-sponsored coverage) within 18 months of becoming eligible for Medicare, you can continue your spousal coverage with COBRA for up to 36 months from the date your spouse became eligible for COBRA. So for example, if your spouse became eligible for Medicare five months before retiring, you'd be able to keep your spousal coverage via COBRA for another 31 months after your spouse retires, since that would be 36 months from when your spouse became eligible for Medicare. If you choose COBRA continuation coverage, you’ll have to pay the full monthly premiums for your coverage, plus a 2 percent administrative fee. The total premium will likely be larger than the premium that used to come out of your spouse’s paycheck for your health insurance, since your spouse’s employer will no longer be paying part of your health insurance premium each month (some employers don't pay anything towards spousal coverage, but most do pay at least a portion of the total cost). You’ll pay the part you’ve always paid as well as the part your spouse’s employer used to pay. Not only is COBRA kind of expensive, it’s also temporary. If you’re not going to be eligible for Medicare yourself within 18 months (or up to 36 months, depending on the circumstances), you’ll have to come up with another plan for coverage when your COBRA continuation coverage runs out. Thanks to the Affordable Care Act, you can buy a private, individual health insurance policy on your state’s health insurance exchange. If your health insurance exchange isn’t having open enrollment when you lose your spousal coverage, don’t worry. Losing that coverage will make you eligible for a time-limited special enrollment period on your health insurance exchange (note that in this case, you have 60 days before the loss of coverage, and 60 days after the loss of coverage, during which you can pick a new plan). This special enrollment period is available even if you have access to COBRA continuation of your spouse's coverage. If you have a modest income, you may be eligible for a subsidy to help pay your monthly health insurance premiums. If your income is low, you may be eligible for subsidized discounts on cost-sharing charges like deductibles, copays, and coinsurance. Apply for the subsidies with the exchange as you’re shopping for health insurance. Your state’s health insurance exchange isn’t the only place you can buy an individual health insurance policy. For example, you can buy a policy through a private health insurance exchange like eHealthInsurance.com. You can also buy a health insurance policy directly from a health insurance company. But you won’t be able to get subsidized health insurance unless you get a plan from your state’s health insurance exchange. So if there's any chance that your income will make you eligible for a subsidy, you'll want to buy coverage in the exchange (subsidy eligibility extends up to 400 percent of the poverty level; you can use a chart showing federal poverty guidelines to see how much that is for various family sizes; note that the previous year's guidelines are used, so for coverage effective in 2018, you'd be looking at 2017 poverty level guidelines). You can use an independent insurance agent to advise you and help you buy health insurance. Many, but not all, insurance agents are able to help you buy a plan listed on your state’s health insurance exchange, or one purchased directly from a health insurance company. Ask the broker to make sure that he or she will be able to advise you about both on- and off-exchange options, depending on your circumstances. Whether you buy a plan privately or on your state’s health insurance exchange, insurance companies are no longer allowed to charge you more for major medical health insurance because you have a preexisting condition or health problem (note that if you're buying coverage that isn't ACA-compliant, such as short-term insurance, your medical history will still be used to determine eligibility for coverage). If your income is low enough, you may be eligible for government-provided health insurance through Medicaid. In some states, the Medicaid program goes by another name like SoonerCare in Oklahoma or Medi-Cal in California. It’s easy to confuse Medicaid and Medicare, but they're separate programs with different benefits and different eligibility criteria. In many states, low-income people making up to 138% of federal poverty level are eligible for Medicaid. Federal poverty level changes each year, but in 2018, FPL for a couple is $16,460 in the lower 48 states (it's more if you live in Alaska or Hawaii). If you live in a state that expanded its Medicaid eligibility rules in accordance with the Affordable Care Act, you’ll likely be eligible for Medicaid if your family of two has an income up to about $22,714 in 2018. If you live in a state that chose not to expand its Medicaid rolls, the rules for Medicaid eligibility will be more complicated, and it's unlikely that you'll qualify unless you're both low-income and disabled (note that Wisconsin has not expanded Medicaid, but allows non-disabled adults with income up to 100 percent of the poverty level to enroll in Medicaid). You can apply for Medicaid directly with your state’s Medicaid program. Your state’s health insurance exchange can also determine if you’re eligible for Medicaid. Health and Human Services, Office of the Assistant Secretary for Planning and Evaluation. US Federal Poverty Guidelines Used to Determine Financial Eligibility for Certain Federal Programs—2018. Kaiser Family Foundation. Employer Health Benefits, 2017 Summary of Findings. September 2017. Medicare.gov. Which Insurance Pays First? United States Department of Labor. Employee Benefits Security Administration. An Employer's Guide to Group Health Continuation Under COBRA.